Living in Bushwick, one can easily get get exposed to art. From Bushwick Open Studios to Beat Nite Gallery Crawl to Apostrophe’s impromptu subway art shows, it seems like around every corner and inside every building there is something going on. 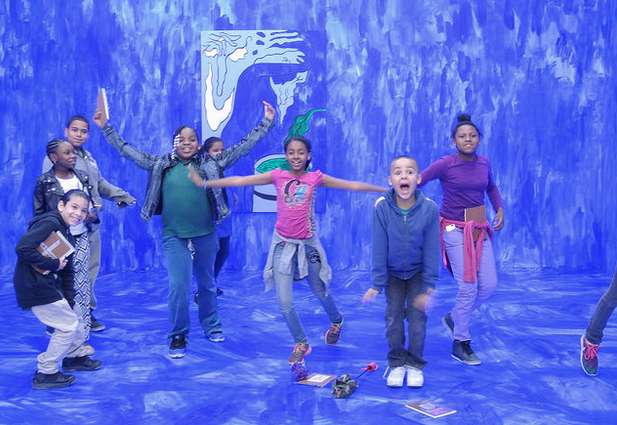 NURTUREart, one of Bushwick’s beloved galleries and a non-profit organization, has tapped into these resources and is using them to make young Bushwick children explorers - art explorers. 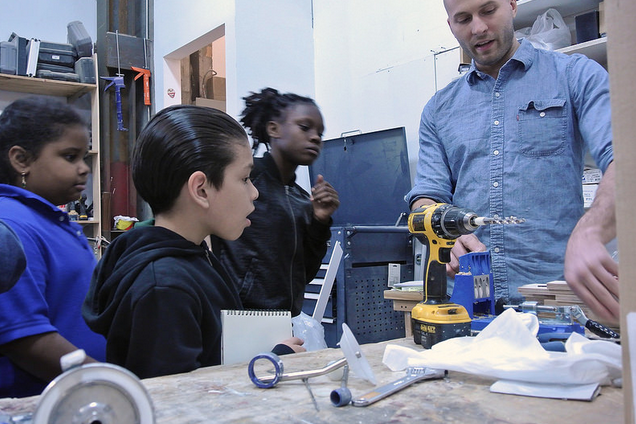 NURTUREart's newest education initiative - The Art Explorers Club - is an after school program that takes 9 and 10 year old students from Bushwick Ave’s PS 147 school and brings them to local artist studios, galleries and other creative spaces, exposing the children to the creative energy that exists right in their neighborhood. The Art Explorers Club, its name actually thought up by the students themselves, has a mission to teach arts literacy all awhile introducing the students to their neighbors and potential careers in the arts, ultimately creating a place for the community to connect. 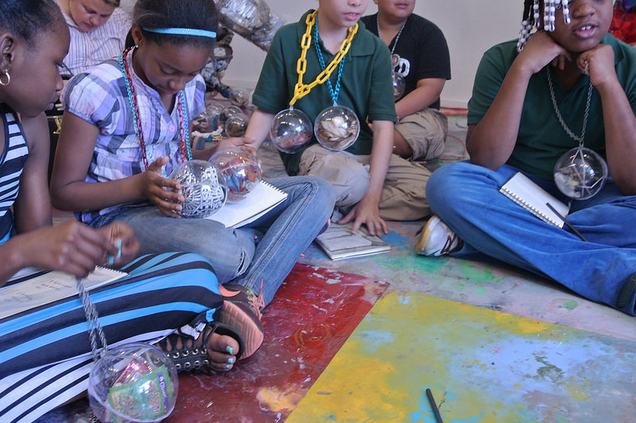 “I first piloted this program last spring after seeing the strong connection our students develop with NURTUREart and our artists during their visits throughout the school year, and knowing all of the other (free) art resources nearby that they could also connect with,” explains NurtureART’s Education Director Molly O’Brien. 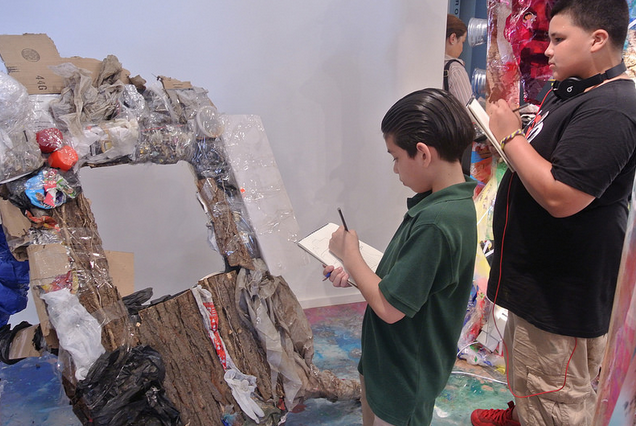 “Having students visit different studios and galleries is a way to reinforce what they are learning in their art program and in the classroom”. 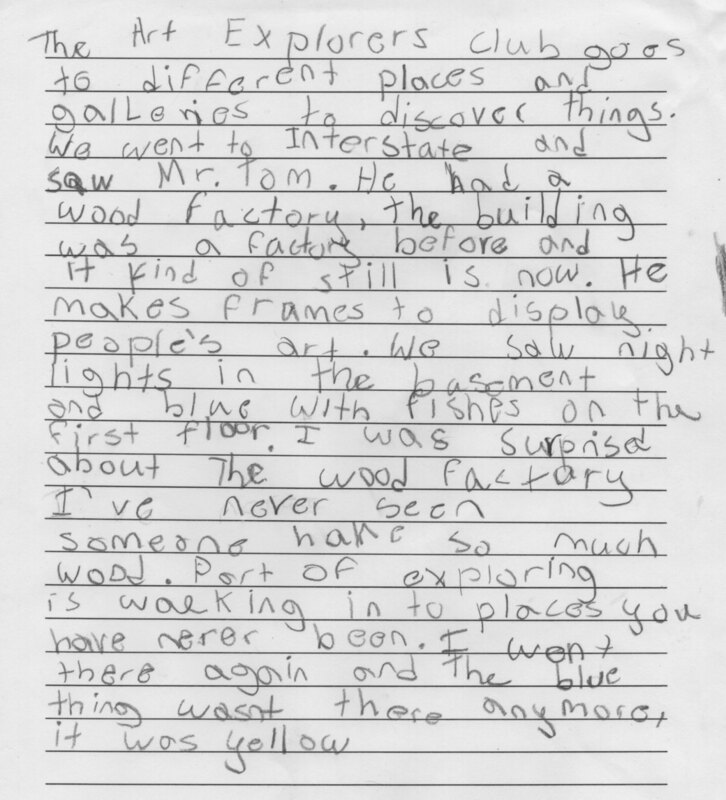 Explorers are a big fan of Interstate's Tom. Through the students' visits, they have spent some time at Interstate Projects, visited Ellie Iron's Invasive Gardens at Sure We Can, took a trip to Bushwick Print Lab, and a whole lot more. Students are also encouraged to revisit these spaces on their own time or with their family, to help further connect the community with the arts. Although the program is just wrapping up for the school year, if you would like to get involved or have any ideas for the initiative, you can reach out to program director Molly O'Brien at molly [AT] nurtureart.org and keep that curious, creative spirit alive!